Marking yet another victory towards the universal ratification of ILO Convention 182 on Worst Forms of Child Labour; the two Pacific Islands, Palau and the Marshall Islands, recently ratified the Convention in March 2019. 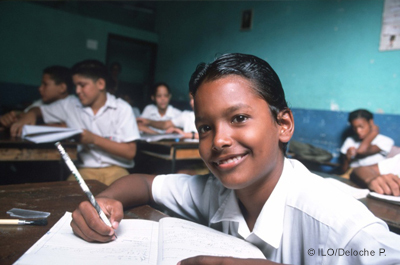 In preparation for the ratification, both countries took considerable legal steps to eliminate the worst forms of child labour and promote free, quality education for all. 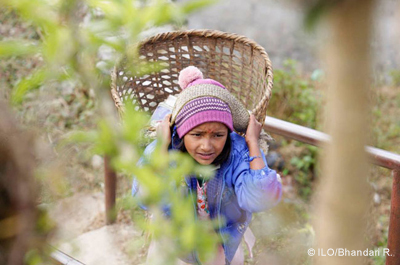 While ‘child labour’ emerged as an important global issue that needed attention in the 1990s; the 84,000 km Global March Against Child Labour (that traversed 103 countries to demand an international standard on this issue) confirmed the urgency of tackling the worst forms of child labour. Back in 1998 when the Global March was conceived as a campaign by Mr. Kailash Satyarthi, the issue was unknown to many, and just beginning to gain notice in the global North. 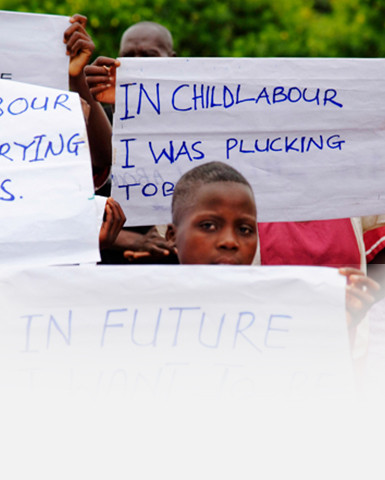 The Global March mobilised more than 7 million people from different backgrounds and called for the immediate adoption of a stronger international treaty on child labour that led to the adoption of ILO Convention 182 on Worst Forms of Child Labour. In 1999, the International Labour Conference unanimously adopted this fundamental ILO Convention along with a Recommendation (No. 190) expressing a global consensus that there are certain forms of child labour which cannot be tolerated, regardless of a country’s level of development or traditional beliefs. The Convention called for “immediate and effective measures to secure the prohibition and elimination of the worst forms of child labour” as a matter of urgency, complementing the directives for effective elimination of child labour enshrined in the ILO Convention on Minimum Age of Admission to Employment, 1973 (No.138). Convention No. 182 also made critical linkages to the importance of education by explicitly stating that ratifying States should take measures to ensure access to free basic education for children removed from the worst forms of child labour. Since 1999, 184 countries of 187 member States have ratified ILO Convention 182 and it has been regarded as the fastest ratified convention in the history of the ILO. With the Marshall Islands and Palau being the most recent countries to ratify the Convention last month; only 3 more countries, namely Eritrea, Tonga and Tuvalu remain to make it universally ratified. After considerable advocacy by Global March’s India partners, Kailash Satyarthi Children’s Foundation, Bachpan Bachao Andolan and other CSOs, in 2017 India became the 182nd country to ratify the Convention followed by the Cook Islands in 2018 which became the 183rd. In light of the ILO’s centenary year celebrations in 2019, the world is now looking to the 3 remaining countries to ratify the Convention and clearly demonstrate the political will of all nations in protecting its children from all types of exploitation. It is noteworthy to understand that ILO presents Convention No. 182 as an international standard for protecting ‘fundamental human rights’ and thus States are expected to ratify it to endorse and express a public and legally binding commitment to a universally valid concept of human dignity. In spite of this underlying spirit and the lack of sanctions for non-complying States, achieving universal ratification of this Convention has been prolonged by many years. Therefore, to understand the pattern of ratification and to encourage the remaining countries to ratify, it is imperative we look into the question ‘What has determined a country’s ratification of the Convention?’ On this subject matter, per experts1, the decision to ratify is often influenced by the ratification behaviour of a country’s economic competitor as well as its ‘peer’ in the community. While it cannot be negated that a country’s internal legal framework, socio-economic situation and its ability to enforce the legislation plays a vital role in making the decision to ratify, it can also be said that empathy and openness expressed towards children’s issues by the political leadership are also instrumental in the decision-making process. Whilst Global March came into existence with a strong plea for an international law on protecting children from exploitation, today after two decades, its members and partners spread across 40 countries are not only continuing to campaign for the adoption of these standards by all countries of the world, but are also investing their resources and efforts in awareness raising, social mobilisation and the pressing need for the domestication and implementation of these laws or Conventions, because a law becomes meaningful only if it is enforced. 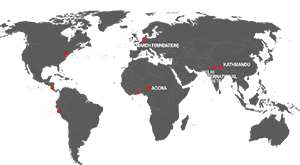 In the pursuit of promoting effective implementation of the Convention, the Global March network has been instrumental in carrying on the advocacy for adoption of national action plans, time bound and integrated policy measures, capacity building of stakeholders, as well as participation of children in decision making process (especially in the Pathfinder Countries). These are subsequently linked with the achievement of the Sustainable Development Goal Target 8.7. Therefore, in the lead up to the 20th anniversary of the adoption of ILO Convention 182 on Worst Forms of Child Labour in June 2019, we urge you to take action by stirring your political leadership to implement the international guidelines and encourage leadership in Eritrea, Tuvalu and Tonga to ratify Convention 182 by the end of 2019. Unless and until we bring legal, behavioural and social attitudinal change amongst all stakeholders of society, sustainable prevention and abolition of child labour from every nook and corner of the world will not be possible. It will take the contribution from all sections of society to see an end to child labour by 2025. Let’s join hands together today to ensure no child is left behind, no country is left behind.